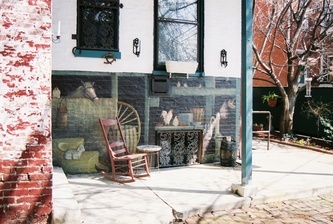 ​The Smyser-Bair House was built in the 1830s. 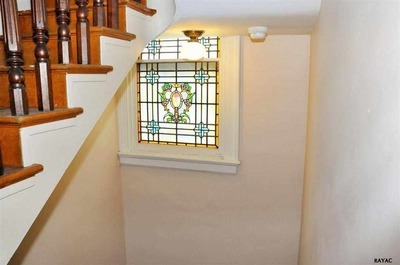 Dr. Henry Smyser purchased the home in the mid 1800s to use as his home and office. He began the study of medicine in 1844, during which time he also practiced. He graduated from the University of Pennsylvania at Philadelphia in 1847. As a young surgeon, Dr. Smyser ventured to Russia and signed up as a Surgeon Major and helped the Russian military in the Crimean War. For his service to Russia, he was invited to The Czar’s Winter Palace where he was one of the few Americans to set foot in The Amber Room – a room entirely of Amber with more than 100,000 pieces of amber inlay. The Amber Room was originally commissioned by King Frederick of Prussia in 1701 and later presented to Peter the Great to commemorate the Russo-Prussian Alliance of 1716. Czar Peter the Great had the Amber Room reconstructed in his Winter Palace in St. Petersburg, Russia in 1717. Then, in 1755, the room was taken apart and reassembled in the Catherine Palace in nearby town of Tsarkoe Selo (now the town of Pushkin). Later, The Amber Room was dismantled and hidden before the German invasion during World War II. Its whereabouts have never been publicly revealed since then. Shrouded in mystery, some believe the amber was destroyed or scattered during the war; others believe the entire room to still be hidden, perhaps lost. There at the Catherine Palace outside St. Petersburg, Russia, Dr. Henry Smyser stood in the Amber Room and was decorated by Czar Alexander II with the medal of St. Stanislaus for his distinguished service. He also received a second medal commemorative of the war. After being presented with the medal in the famous Amber Room, Dr. Smyser was invited to join the Czar at the Summer Palace on the gulf in nearby Petergof. This was in 1856. Obviously, the Russian Czar’s palaces left an impression on Dr. Henry Smyser, because it was a year later that he purchased his own little palace: The Smyser-Bair House. His fortune made in California’s Gold Rush, his service paid in the Crimea War, his palace purchased, it was time for Dr. Henry Smyser to get married. In 1860, he married Emma E. Reiman, daughter of John Reiman. But instead of living happily ever after, Henry Smyser returned to war. In 1862, Dr. Smyser enlisted in the Civil War, then known as the War of the Rebellion. He treated soldiers injured in the nearby Battle of Gettysburg at a makeshift tent-hospital in Penn Park, just down the street from his home. As a prominent man of high society, Dr. Henry Smyser would have been a man to meet for important visitors to York. It is likely that many of the high-profile individuals visiting York would pay a visit to Dr. Smyser at his home or office (one and the same). 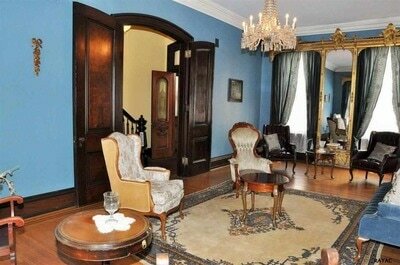 Rumor has it that General Robert E. Lee visited the home. Charles Dickens said that the best steak he ever ate was in York, and it’s likely that he paid a visit to Dr. Smyser. Henry and Emma Smyser had two children: Ella Nora and John Reiman Smyser. 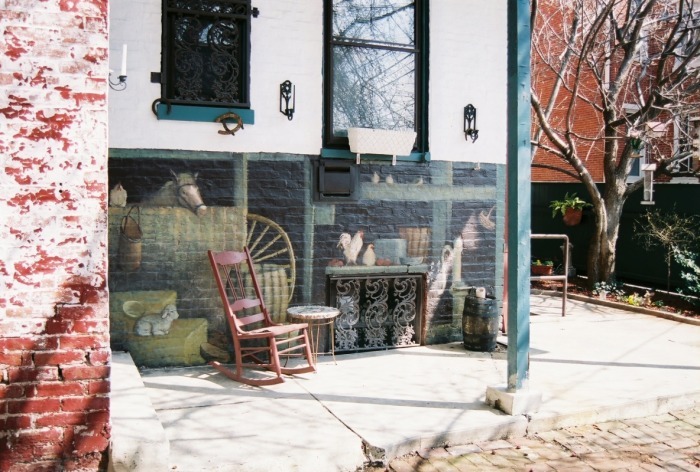 John moved to Philadelphia, where he became a pharmacist. 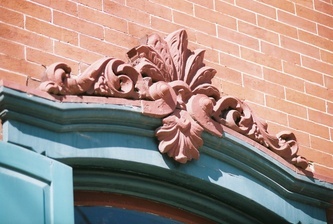 Ella remained in York and married Robert C. Bair, a lawyer and the son of a local judge. With son John Smyser resettled as a druggist in Philadelphia, the house passed on to daughter Ella and her husband, Robert C. Bair. Robert served on government committees and was involved in politics, though never a politician himself. He worked as a lawyer, and also taught Sunday School at the Lutheran church right across the parking lot from the house, still in operation today. In fact, many of Mr. Bair’s Sunday School lesson books remain on display in the house today, with Bair’s signature and portrait, notes, and lists of his students from year to year. 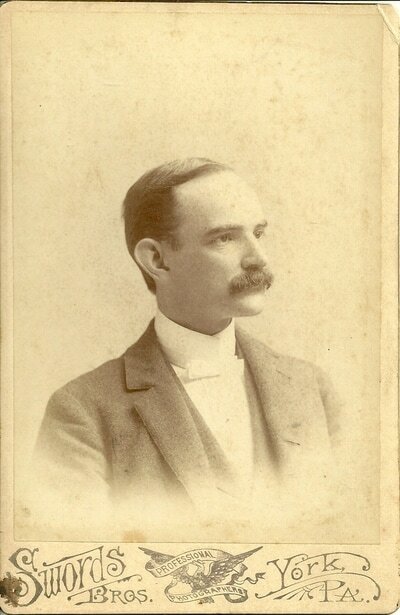 He served as Director of the Historical Society of York County. 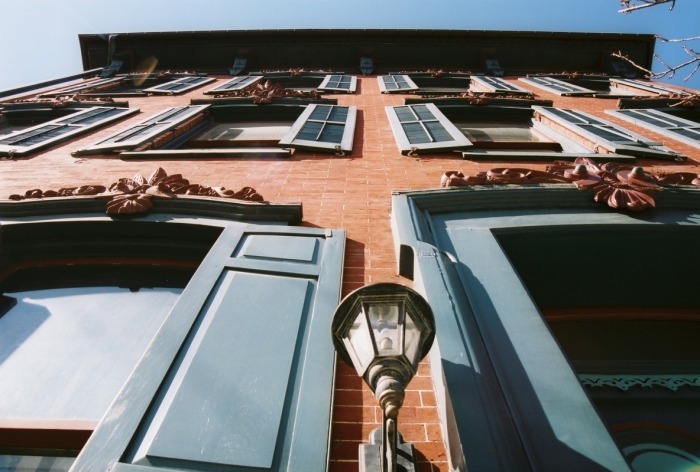 Bair was also a talented photographer; the R. C. Bair Photo Album Collection is archived at the York County Historical Trust Library / Archives thanks to a grant from the Pennsylvania Historical Museum Commission. The collection includes three albums with 364 pages and 17 loose photos, totaling 721 photos focused on York from 1906 to 1928. Some of the photos depict Civil war veterans at the Gettysburg battlefield in 1913. 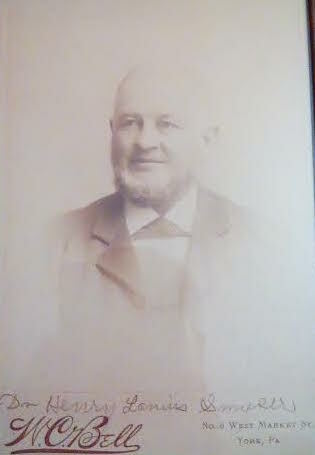 Robert and Ella Bair had one child: a son named Smyser Henry Bair. This family, along with their servants who lived in the “servant quarters” in two rooms in the upper back of the house, lived in the home for many years. Smyser married Alma Quickel, a beautiful school teacher. After a few years of living on their own, the married couple mobbed in with Ella Bair after Robert Bair died. Smyser Bair became president of the Gas Company, replacing their steam heating system with natural gas. The old steam-heating system remains as a relic in the basement today. Smyser and Alma Bair had no children. 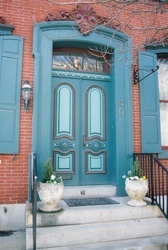 Alma Bair was the last descendent of the Smyser-Bair bloodline to live in the Smyser-Bair house at 30 South Beaver Street. 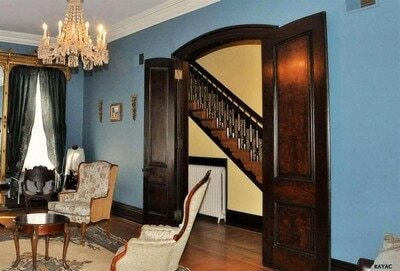 She lived there until her death in 1979, when it was left to the historical society. 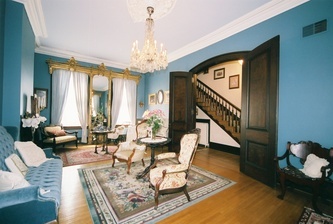 In the 1980s, the house was purchased by the King family and restored to its appearance during the Victorian period. 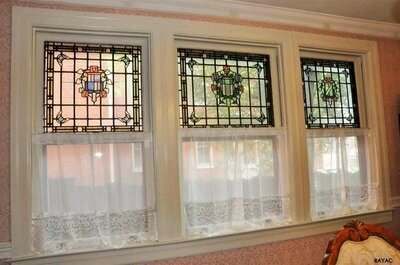 Tom, Nancy, Bob, and Hilda King opened the home to the public as The Smyser-Bair House Bed & Breakfast. 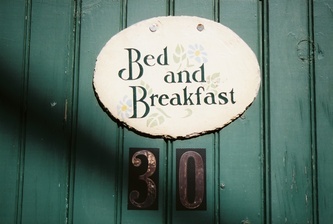 During the 1980s and 1990s and even into the 2000s, the home operated as a successful bed and breakfast. In the early 2000s, the home became a private residence again, until it was purchased by the current owners in 2007 with the intent to reopening the home as a bed and breakfast: The Historic York Inn. 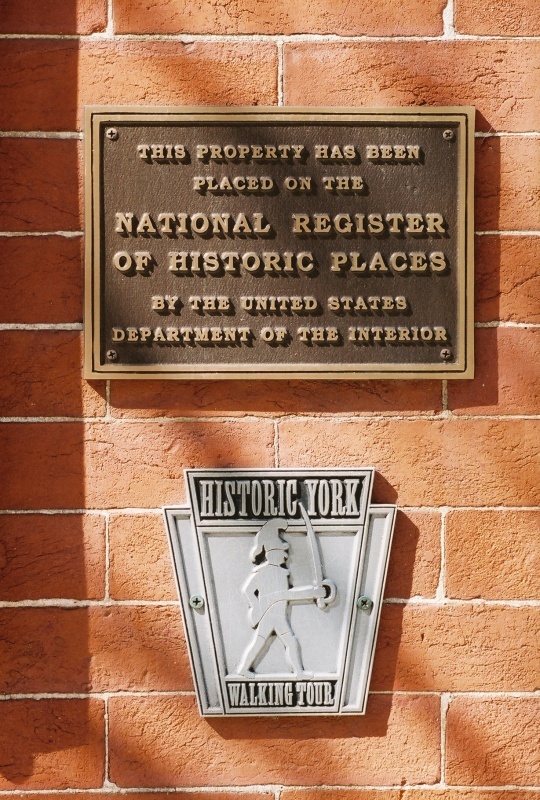 The Historic York Inn / Smyser-Bair House boasts a rich history, and we’ve only scratched the surface here. In fact, the home and the Smyser-Bair family have been the subjects of a dissertation, and the home has been featured on national television, in numerous books, magazines, and newspapers, and has seen its share of photo and film shoots. 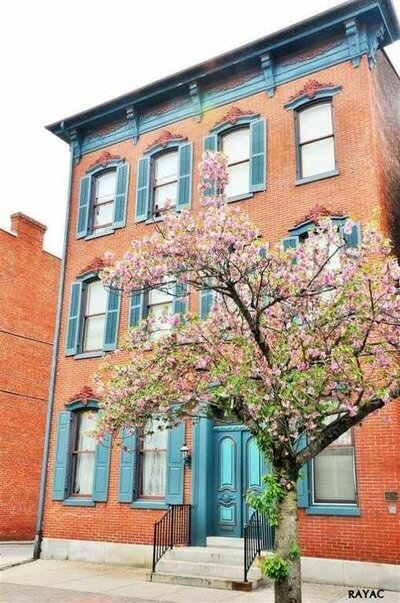 A book on the Smyser-Bair house and family is in the works. In recent years, guests have included people from Russia, Germany, Ireland, Italy, China, and all over the United States. Presidents have made plans to visit. The home was opened up to displaced victims of the recent Katrina hurricane, garnering a letter of appreciation from the Mayor. In 2008, Hilary Clinton even stopped by while campaigning. Not to mention an entertaining visit from The Drifters. Ask anyone who knows the history of York about the Smyser-Bair house, and they’ll tell you exactly where it is, along with a story or two about its history. 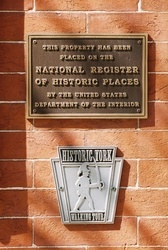 The Historic York Inn / Smyser-Bair is on the Federal Governments’ National Register of Historic Places as well as the York Historic Walking Tour. It was featured on national television in 2007 and again in 2008 for its unique embellishments, luxurious charm, and rich history. 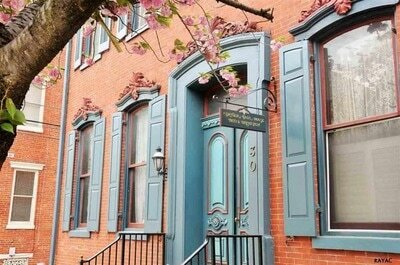 Yet with all of its history, The Historic York Inn / Smyser-Bair House holds a promising future. Be a part of that future by visiting us. 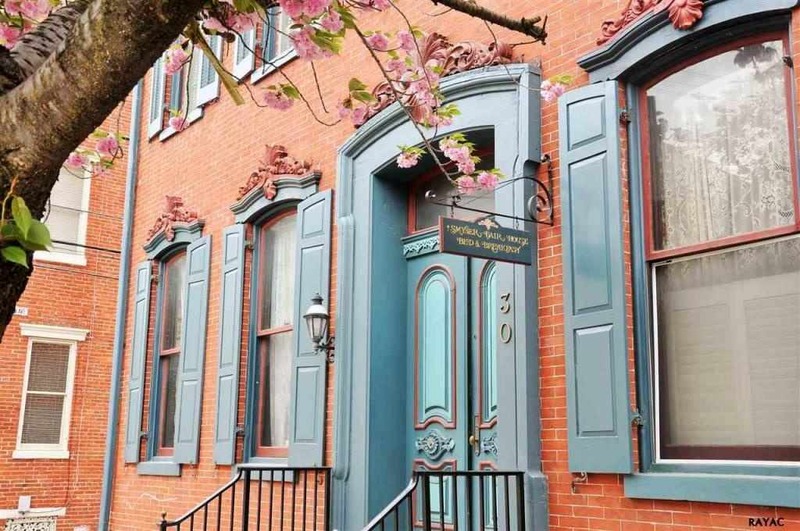 Take a tour or stay the night in the Historic York Inn / Smyser-Bair House, and become a part of this home’s lasting legacy.